Italian alpine skier who won three Olympic gold medals over three different Olympics in the super-G and giant slalom events. She won the World Junior Title in giant slalom as a teenager. 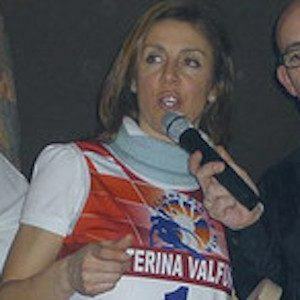 She won three gold medals in World Skiing Championships from 1996 to 1997. She married Alessandro Benetton in 2000 and the couple has 3 children together. Her first Olympic competition was in 1992 when skater Kristi Yamaguchi also took home gold.